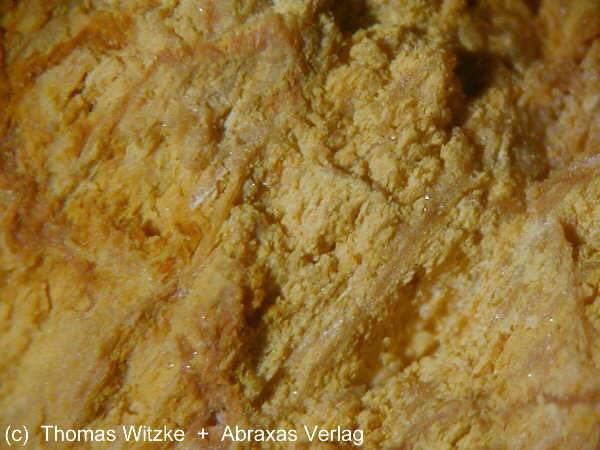 Daubréeite: Mineral information, data and localities. Creamy-white, greyish, yellowish-brown; colourless in transmitted light. 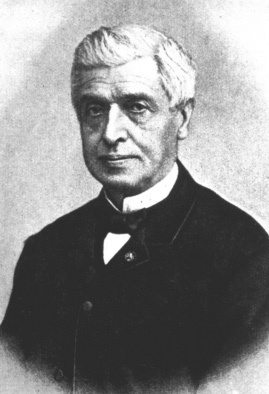 Named by I. Domeyko in 1876 in honor of Gabriel Auguste Daubrée (25 June 1814, Metz, Fance – 29 May 1896, Paris, France), mineralogist, geologist and professor at Strasbourg and the Museum d'Histoire Naturelle, Paris. He was awarded the Wollaston Medal in 1880. 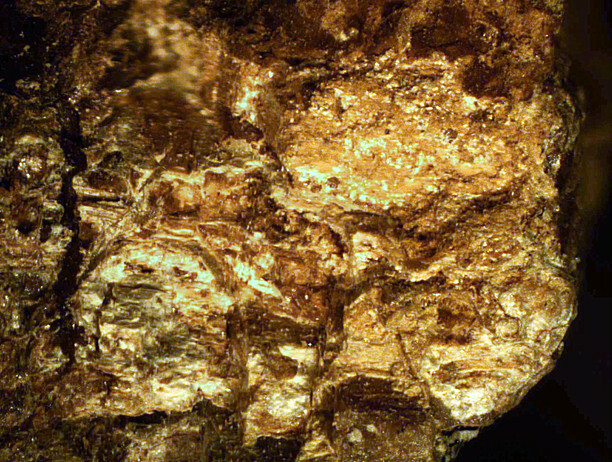 The mineral daubréelite is also named in his honor. Massive only; compact, earthy, columnar to platy-fibrous. 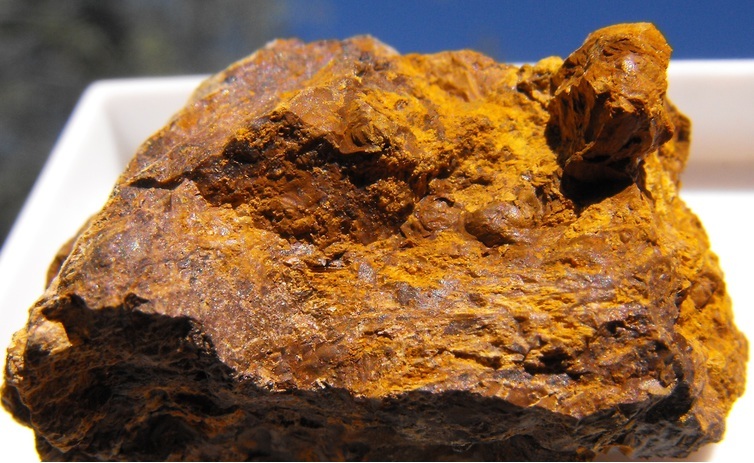 Oxidation zone of bismuth deposit. Totally soluble in acids. Re-precipitates upon substantial dilution. Domeyko, I. (1876) Daubréite (oxychlorure de bismuth), espèce minérale nouvelle. Comptes Rendus Hebdomadaires des Séances de l’Académie des Sciences, 82, 922-923. Domeyko, I. (1879) Elementos de Mineralogia, 3rd. edition: 297. Bannister, F.A., Hey, M.H. (1935) The crystal-structure of the bismuth oxyhalides. Mineralogical Magazine: 24: 49-58. Palache, C., Berman, H., Frondel, C. (1951) The System of Mineralogy of James Dwight Dana and Edward Salisbury Dana Yale University 1837-1892, Seventh edition, Volume II: 60-62. Domeyko (1876); Palache, C., Berman, H., & Frondel, C. (1951), The System of Mineralogy of James Dwight Dana and Edward Salisbury Dana, Yale University 1837-1892, Volume II: 62. Barkov, A. Y., Martin, R. F., Shi, L., LeBarge, W., & Fedortchouk, Y. (2008). Oscillatory zoning in stanniferous hematite and associated W-and Bi-rich minerals from Canadian creek, Yukon, Canada. The Canadian Mineralogist, 46(1), 59-72. G. Marinelli, 1959 - I minerali di bismuto del cantiere Falcacci a Rio Marina (Isola d'Elba). - Atti Soc. Tosc. Sc. Nat., Mem. Serie A, 66: 337-352.